The SABIAN Esoteric astrology approach under consideration in this article is an expansion of the work of Marc Edmonds Jones, Elsie Wheeler, and Dane Rudhyar. Without their contributions, Sabian Esoteric astrology would not exist. Elsie Wheeler, an extraordinary clairvoyant, was able to access these symbols, which have since been referred to Sabian symbols, in a remarkable way.1(see footnote) Jones, Wheeler, and Rudhyar's collaborative work is not to be considered Sabian astrology, but was merely a base, or starting point, of what has become a new system of astrological thinking. This new approach to astrology incorporates an expanding level of cyclic transformation uncommon in all other astrological approaches. At its very core, it is a new language of symbolism that offers a deeper meaning and insight than traditional astrology has been able to offer. One of the challenges present in the modern world we live in, is the development of new symbols. What is needed today are symbols that resonate in a significant and profound way. Symbols that are alive with meaning. We live in a complex and dynamic world where individuals are emerging out of a past, which is abundant in obsolete symbols that lack the depth necessary for the type of transformation people are seeking. What is at the Heart of Symbolism? 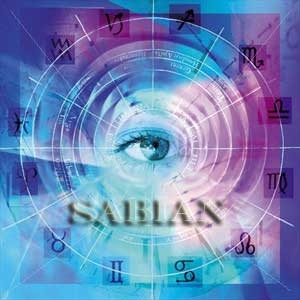 Sabian Esoteric astrology is a symbolic language that speaks of integration and transformation. What we typically call "language" is a system of words that consist of various symbols. As the groupings of words are created, symbolic structures are formed, allowing for an even deeper, more meaningful symbolism to exist. Religion, mathematics, and art are also collections of complex symbols that are grouped and organized. Astrology, understood in its proper context and freed from both a scientific approach and religious superstitions, is another unique symbolic language. It communicates facts about how basic functions are organized within the psyche of individual beings. Facts are not the only things that are communicated in language, but to some extent the "meaning" of these facts is also indicated. What's communicated is relevant and has meaning within several frames of reference, depending on the scope and the development of the consciousness seeking understanding and the level of solution needed for the person or social situation. A brief example may present a clearer picture of various levels of symbolism, and the different frames of reference that are possible. The statement, "There is a horse," provides a frame of reference our ancestors have used for ages. The image created in the mind is that of a large animal which is distinct from other animals. The image is a symbol which is somewhat general in its frame of reference. However, this symbol is characteristic of the kind of experience to be expected; it also signifies the possibilities of what "can" be expected. When it is heard that there is "a galloping horse with a rider," it creates a somewhat different image in the mind. Instead of a vague image of a four-legged creature, there is now a dynamic, clear-cut image with an actional element. When it is stated "there is a policeman galloping on a horse toward a group of demonstrators," there is a very vivid scene presented to the mind. This symbolic image is rich in stirring up emotions, and possible memories of past experiences. A glandular response may be even activated if an intense moment in an actual demonstration was previously experienced. Given the symbolic situation mentioned, the symbol will makes us "feel;" it also gives us some information on the appropriate way to "act." Even if we haven't experienced the exact same situation, we will know how to best meet the circumstance because of the countless people who have already experienced something similar. As a result, the symbolic situation has acquired some form of "meaning," which is commonly accepted by a vast number of people who have gained knowledge from their experiences, there-by allowing individuals to now identify at a personal level from a symbol that may only have a collective frame of reference. Thus symbols, at a core level, integrate the vast number of separate experiences that human beings have. These shared experiences are organized into symbolic forms where-by we are able to communicate the shared meaning of those experiences, separate as they may be from our own. The preceding example shows the correlation of how a collective symbol can provide personal feelings, an implied course of action, and even a means of identification through personal meaning. What it doesn't show is how the Sabian symbols are able to work at a deeper level of consciousness within the context of the scope of an individual's growth. The difficulty in talking about the depth of Sabian symbols is that the entire set of symbols is, in its purest sense, a complete and a whole symbol. We may use its 360 phases as separate symbols, but what needs to be recognized is the wholeness of "The Sabian" itself. The Sabian stands alone, as it is a complete symbol of an entire cycle, and is in this idea that the deeper sense of the meaning of "Sabian" is to be understood. The Sabian is the wholeness of all the 360 phases together. A Sabian symbol is often referred to as one of the individual phases of the 360 phases. In today's world, with technology and empirical methodology, we have an emphasis on the "data" or the "parts," which is most often considered more significant that the whole. Because of this, it has become more difficult to grasp the deeper value of what a "whole" cycle can ultimately mean. An example of this can be seen when one makes reference to their entire lifetime as a "whole." It may be easy to think in terms of one's life from the moment of birth up to the present time, the "now," but this isn't necessarily the wholeness of a person. The span of a lifetime from birth to death is the wholeness of an entire cycle of one's life; an "eon" as described by Dane Rudhyar. The wholeness of an entire cycle is, in part, the power of The Sabian symbol. This is potentially a difficult concept to understand, but the idea of looking at an “eonic cycle,” a cycle of wholeness from beginning to end, can be easily understood by the concept of how a story is told. When a story is complete and considered in its entirety, from beginning to end, a comparison can be made to that of an eonic cycle. The Sabian is an eonic cycle, and in a sense tells a story that has a beginning and an end. First, let's consider a story divided into four chapters. The concept of dividing a story into chapters, or phases of the story, doesn't in any way change the overall integrity or plot of the story. Now let's consider that each chapter begins with a summary, which condenses the content of the entire chapter into a short statement or explanation. The first chapter summary may start with an overview that introduces the story, the second summary may cover the main characters and their basic situation, the third summary might describe the basic intrigue of the overall plot, and the last summary may indicate the outcome of the story's hero. Second, we take this same story and divide it into twelve chapters or phases of the story. As we read the summaries of each chapter it becomes apparent that much more depth of the story can be understood. For example, additional chapter summaries might discuss the environment of the characters growing up, and the nature of their basic inner conflicts. Still others might give us insight into various relationships and how the role of circumstances played into the hero's struggle for success. Nevertheless, it is clear to see, that a more refined picture of the story starts to unfold the greater the number of story phases that are told. A story not told in twelve phases, but a remarkable 360 phases. The Sabian symbol, in its Wholeness, is a story. A story that is a complete eonic cycle, a "prime" archetype from which all archetypes emerge. The idea of a prime archetype is interesting. It suggests that all cyclic movement and all cycles have as a base, a prime archetype and pattern to which all cycles are structured after. The Sabian symbols reflect only "one" centralizing theme. This is a reflection of the wholeness that exists everywhere as harmony and unity. This central theme is centered around the cyclic movement of change, not for the sake of change, but for the rhythmic movement of transformation. Transforming what is, into a greater sense of wholeness and harmonization. Understanding this unity and wholeness of The Sabian allows for the recognition of an internal structure and rhythm which is quite unique. It is a remarkable safeguard that helps preserve the wholeness of meaning within The Sabian symbols. Every phase of The Sabian has an undeniable relationship with the whole, and an implied function as to its inherent meaning within the whole. The natural empirical tendency is to isolate the symbols and their meaning without regard for the whole. The meaning of each symbol can be easily checked against each sub-cycle and its polarity that frames it. As modern interpretations start to surface, the dedicated student should be able to spot the misuse of these sacred symbols as they represent a "prime" archetype of the entire solar system and must be viewed as a "whole" to preserve their holism. Besides the depth of 360 phases, The Sabian also has sub-cycles woven into its cyclic structure. These sub-cycles, which repeat and exist within the larger cycles of The Sabian, offer transformational phases useful for understanding the deeper aspects of our own individual nature. The depth of The Sabian lies not only in its holistic fractal relationship to the whole, but in its relationship with all cycles. As individuals, we live within the great eonic cycle of our life. Within this cycle, we have multiple sub-cycles, each having its own cyclic rhythm and fractal relationship to The Sabian. The Wholeness of the solar system is reflected in each individual human being as an individual "whole", a microcosm of the larger whole, the macrocosm. Sabian astrology is an attempt to bring a new depth of understanding and clear picture of this wholeness as it applies to those seeking their place in the solar system and the universe, as whole Beings, radiating their creative spirit of Wholeness. Marc Edmonds Jones and Miss Elsie Wheeler worked together in 1925 at Balboa Park, San Diego to bring The Sabian into existence. Elsie Wheeler was regarded as a highly gifted clairvoyant, and it is she who was responsible for channeling the actual symbols as Mr. Jones wrote the symbols and description on index cards. He wrote some years after the fact that there was the sense of a "brotherhood" who was present and it contained the feeling of a collective mind helping them. In this context of the Presence helping them, the word Sumerian surfaced and after the channeled symbols were completed the name Sabian was chosen to represent the symbols. The symbols were channeled in a ritualistic fashion as blank index cards were presented to Miss Wheeler. What is remarkable is that the 360 cards were constantly shuffled and the degree that each card represented was not known to Miss Wheeler. Dane Rudhyar analyzed the internal structural relationship of the sequence of the symbols about 10 years later. It was at this time that the eonic nature or cycle-as-a-whole was discovered, as well as sub-divisions containing patterns related to the whole. π (sometimes written pi) is a mathematical constant whose value is the ratio of any circle's circumference to its diameter. It is an irrational number, which means that its value cannot be expressed exactly as a fraction. Consequently, its decimal representation never ends or repeats itself. It is also a transcendental number, which implies, among other things, that no finite sequence of algebraic operations on integers (powers, roots, sums, etc.) can be equal to its value.